I was born in Toronto, Canada. I moved to the District of Columbia where I completed my undergraduate studies at Howard University and attended Georgetown University School of Medicine where I received my medical degree. I finished my residency training in Obstetrics and Gynecology at Union Memorial Hospital in Baltimore Maryland. Upon the completion of my training, I accepted a position at the DC General Hospital where I gained a vast amount of experience in High-Risk Obstetrics, Obstetrical Trauma, and Gynecologic surgery. During that time I was also able to refine my experience in Minimally Invasive surgical procedures including Laparoscopic and Vaginal Hysterectomy, Uterine Ablation, and Operative Hysteroscopy. I also have significant experience in the evaluation of Infertility. 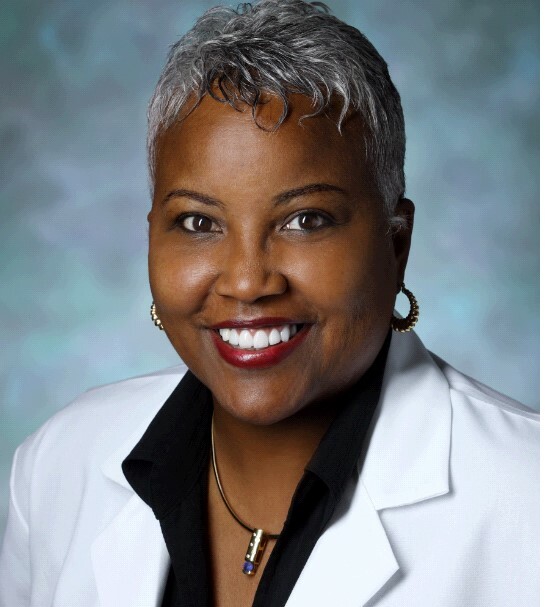 I practiced Ob/Gyn in the DC Metro area until 2001, then relocated to the Virgin Islands where I maintained a bustling private practice for eight years. I was the Physician Representative on the Board of Directors of the Health and Hospitals Corporation of the US Virgin Islands until 2008. Eventually, I returned to DC, where I worked at numerous local hospitals in the District including The Washington Hospital Center as a Medical Director of there OB/GYN group practice. I also had the unique experience of being a member of the White House Medical Unit. I am devoted to providing quality care and firmly believe in forming a healthy patient-physician relationship. I encourage my patients' participation in their healthcare and reinforce that self-awareness, along with patient education and open communication, is the key to staying healthy.